My name is Daniel Kelly, I’m 26 years old and I have lived with a severe peanut allergy since the age of 5. I have started this allergy blog to discuss related topics that interest me, such as: how do you tell your date about your allergy, living abroad with an allergy and eating out. I am hoping to try and break people’s stigma about what it is like living with a severe food allergy. I’m hoping this blog will help others feel at ease knowing that having an allergy shouldn’t stop you doing what you want to do. The idea for this blog goes back to the summer of 2015 when I designed a food allergy magazine to raise awareness for anaphylaxis. This magazine was created for my final major project at University, I chose the issue to raise awareness of anaphylaxis and other allergies. The aim of the magazine was to take the EpiPen®* out of a purely medical context so it was more relatable and engaging for 18-25-year-olds. 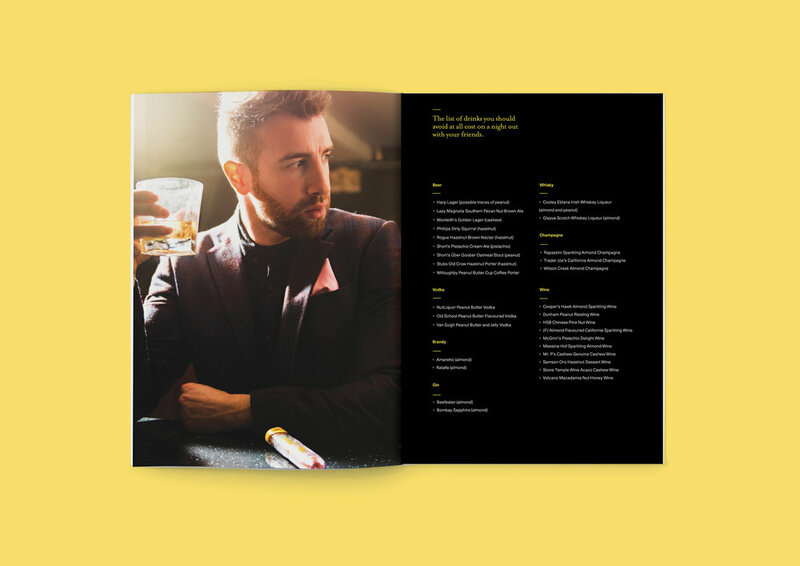 “I was very impressed with the quality of the ‘May Contain’ magazine Daniel produced as part of his university project a few years ago. I am delighted that Daniel is continuing to use his graphic design skills to raise awareness about severe allergies to coincide with the Anaphylaxis Campaign’s national day of anaphylaxis awareness, Orange Wig Day." I achieved this by making the EpiPen® more of a fashion item as too many youngsters were afraid of what people thought of the EpiPen® and wouldn’t carry it with them. When the local newspapers ran the article about my magazine, I was honestly overwhelmed with emotion of how many people got in touch and shared my magazine online. It was extremely gratifying that the social media reach enabled me to achieve my goal of raising awareness about allergies and anaphylaxis. With this in mind I’m hoping to raise awareness further and get more people talking about their allergies and feeling confident to speak up and tell others. Disclaimer: Though I’ve tried to make sure all the information in my website is correct, I’m not a Doctor, so this website is not intended for the purpose of providing medical advice, diagnosis, or treatment. Always talk to your GP or other qualified health provider with any questions you may have regarding a medical condition. All of the information in this website is my own opinion. This doesn’t mean that I recommend or endorse any products or organisations mentioned. *EpiPen® is one of the adrenaline auto-injectors currently prescribed in the UK; there are also two others, Emerade® and Jext®.